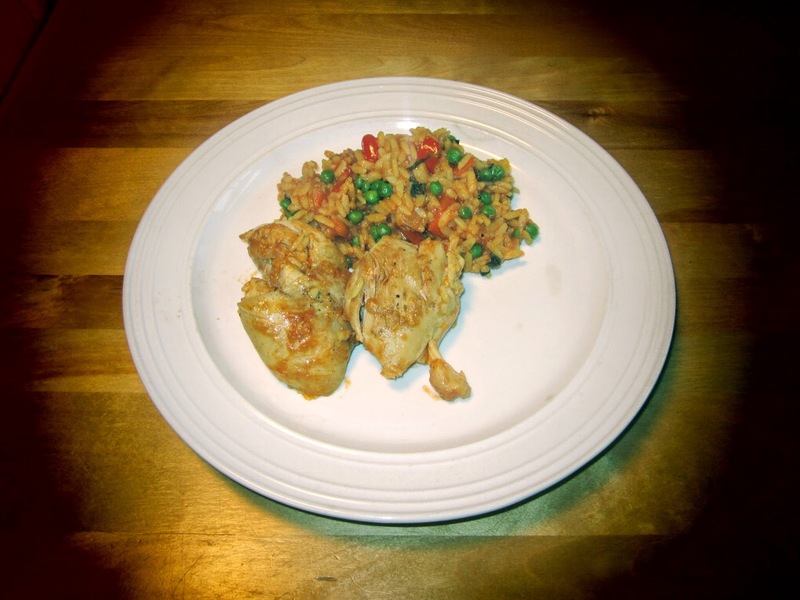 Part two of my Chef inspired Cuban dinner featured Arroz con Pollo. 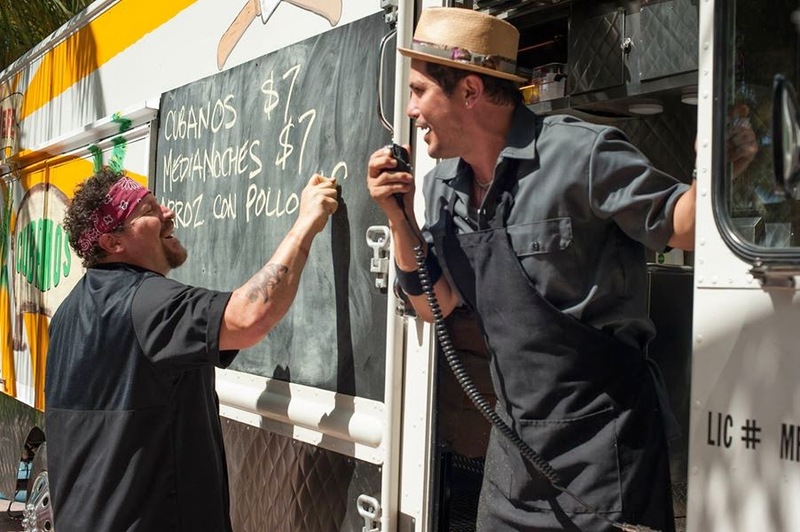 Though not prominently featured in the film, there is a scene in Miami where John Leguizamo yells the menu out to hungry beach-goers. You know, right before Russell Peters shows up. This dish, similar to Spanish Paella, is a mix of chicken, rice, vegetables and spice. Purists will tell you that the distinguishing ingredient is Bijol (or Annotto), made from the seeds of the Achiote tree, which gives the dish its yellow hue. I'll be totally honest here - I didn't spend any time searching for this ingredient, although I'm sure it would be easy to find among Toronto's many Caribbean and Latin grocers. I used Saffron instead. This spicy and savoury dish is easy to throw together, making it instant comfort food in my books! Start by seasoning your chicken with salt, pepper and cumin. Add half the olive oil to a Dutch oven and brown the chicken on both sides, over medium-high heat, until golden. Remove the chicken and set aside. Add the remainder of the olive oil and saute the onion and red pepper, until the onion is translucent. Add the garlic and cook for a minute more, stirring often. Return the chicken to the pot, add the chicken broth, tomatoes, rice and remaining spices, carefully stirring to combine all the ingredients. Allow the mixture to come to a boil, then reduce the heat, cover and allow the Arroz con Pollo to simmer for 35 to 40 minutes, until the rice is fully cooked. Double check your seasoning - now's the time to add salt and pepper, if necessary. Add the frozen peas and cook for 5 minutes longer. Remember to remove the bay leaves before serving. I tried your recipe and wowza! It was delicious! Top notch!